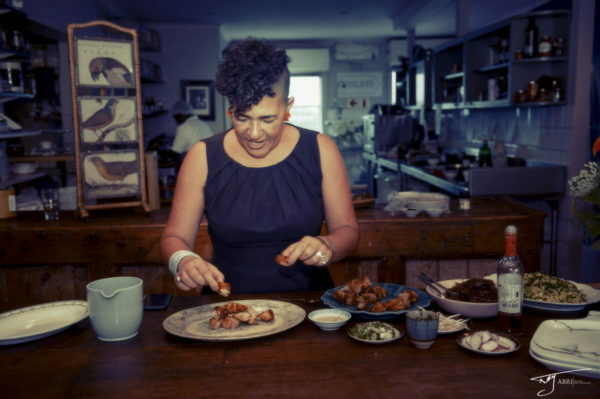 Local foodies with a soft spot for spice will want to seek out a bottle of Banhoek Chilli Oil, which enjoyed its official launch on 6 February 2019 at Karen Dudley’s acclaimed eatery The Kitchen, in Woodstock, Cape Town. 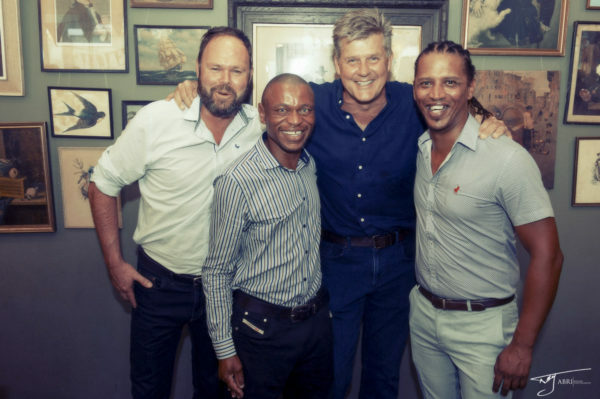 The brainchild of Stellenbosch local Ken Kinsey-Quick, Banhoek Chilli Oil was born from a hunger for the subtle chilli-infused oils he enjoyed while living abroad, whether drizzled over pizza or stirred into pasta dishes. With its eye-catching packaging, rosy hue, disarming bite and subtle flavour, Banhoek Chilli Oil is the new challenger to the throne of infused oils. Perhaps more importantly for chefs and home cooks, if the raw chillies are left in the oil, the flavour becomes unstable over time and can turn the oil rancid. There are no such problems for Banhoek Chilli Oil, which is made exclusively from premium canola oil farmed in the Overberg region. Extracted from the seeds of the canola plant – a member of the same Brassicaceae family as broccoli – canola oil is one of the healthiest on the market. 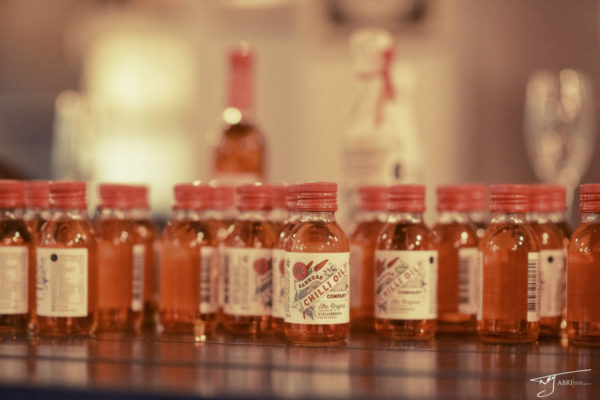 Cholesterol-free and low in saturated fats, it is high in omega-3 and omega-6 fatty acids and comes packed with vitamins E and K.
Banhoek also recently introduced a smaller “travel size” bottle of their Chilli Oil. The canola oil used by Banhoek Chilli Oil also carries the prestigious CANSA Smartchoice seal, awarded only to edible products free of all known toxins and carcinogens and it may assist in reducing the risk of cancer. 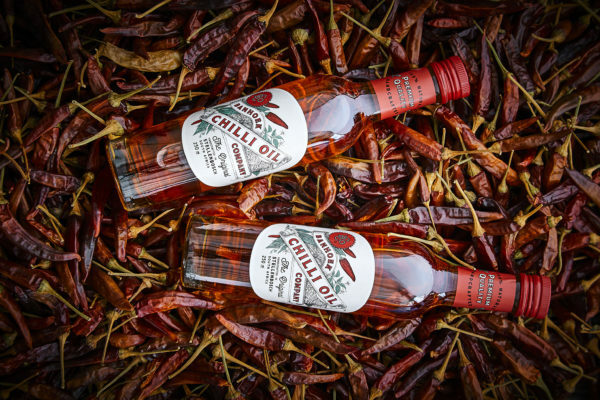 Adding the rosy hue and luscious bite to this premium oil are bird’s eye chillies, grown and dried in the Swartland. 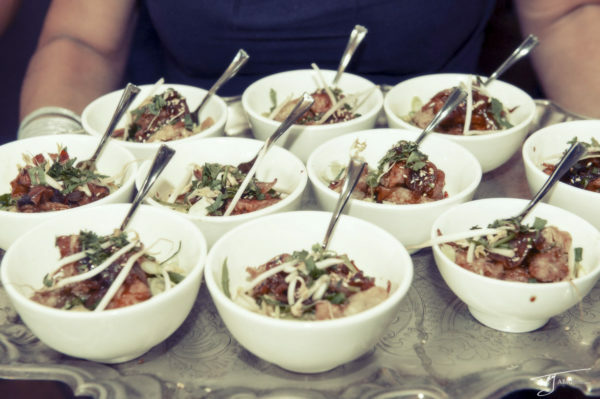 Originally from Thailand, the bird’s eye chilli offers the perfect balance of flavour and heat, clocking in at between 50 000 and 100 000 on the Scoville Scale of chilli spice. However, when the chillies are infused in the oil, that heat is reduced by up to 80%, delivering a subtle chilli spice which enhances other flavours without overpowering them. In the bespoke production unit on a farm in the Banhoek Valley, the chillies are crushed by hand to release the seeds and provide a larger surface area for infusion. They are then mixed with premium canola oil and heated on an induction plate to 70°C. “We decided to use induction technology because it gives us a consistent heat throughout the oil, ensuring an even infusion of flavour from the chillies,” explains Ken. Once the oil and chillies have been heated and then cooled, the oil is drained and the remaining chilli pulp is pressed to extract maximum flavour. The oil is then passed through a sieve and finally through a 16-stage filter to remove any fine chilli particles that may remain suspended. 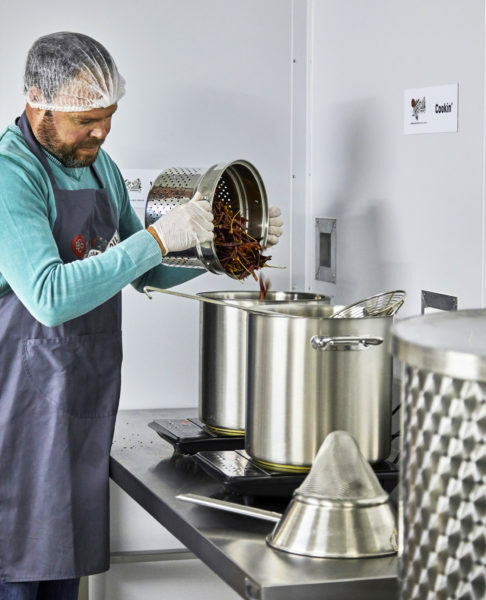 “This filtration gives the oil exceptional clarity but also ensures that Banhoek Chilli Oil has stability and an excellent shelf life,” adds Ken. Bottling and capping are done on site, with premium local bottles and striking red screw-tops imported from Italy. The final step in the process is hand-labelling and wrapping, with the stylish label design dreamt up by boutique Stellenbosch design agency Fanakolo. What began as a home experiment for the family kitchen has quickly flourished into a fast-growing business. 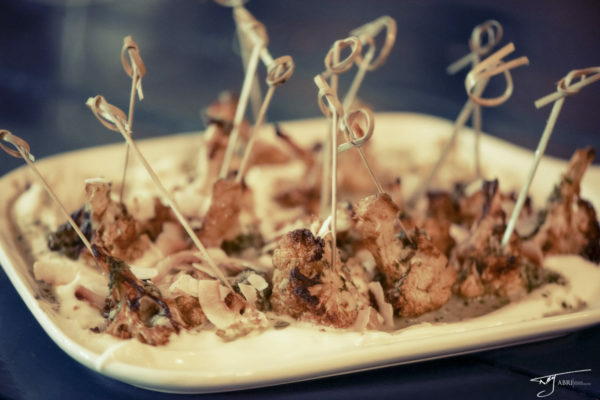 Local delicatessens quickly snapped up early batches and enquiries have flooded in from across the country. Today Banhoek Chilli Oil is available in nearly 200 stores nationwide, from Cape Town to Koringberg, Pietermaritzburg to Pilgrim’s Rest. And for chilli-deprived fans not living near a retail outlet, Banhoek Chilli Oil can be purchased online and delivered anywhere in South Africa.